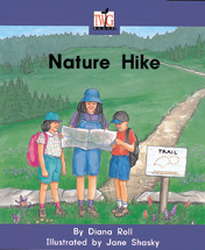 Young readers are inspired by these emergent level nonfiction books about the natural world and everyday life. Supported by stunning photography and a variety of illustrative styles, TWiG Books offer developmentally appropriate text exploring a wide range of topics from creatures and community to history and helpers. TWiG Books are easily integrated across the curriculum—especially in math, science, and social studies—with four curriculum packs and teacher guides.